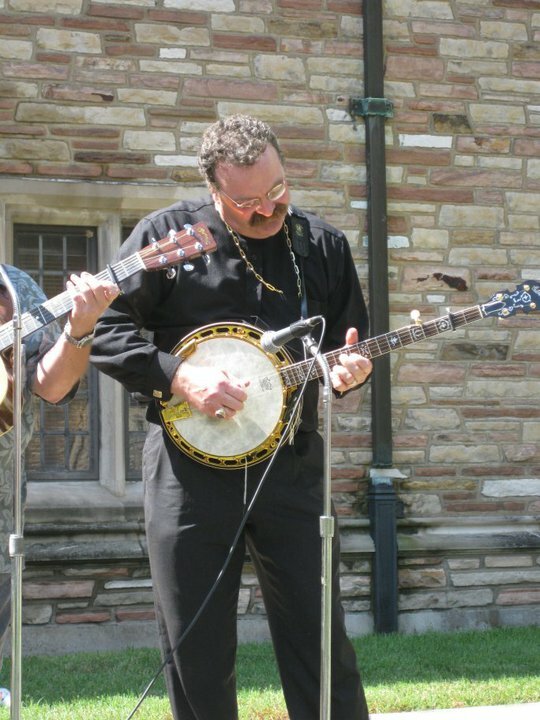 The banjo playing President of the Lutheran Church Missouri Synod is perhaps one of the world’s most knowledgable persons on the writings of the German Lutheran immigrant-to-Australia theologian and pastor, Herman Sasse. On his blog, Mercy Journeys, Pastor Harrison regularly provides his readers with generous snippets from the works of this theologian, often translated from the German by himself. This is great writing and great assurance of the Gospel – but there is a problem. It is not fairly comparing Aquinas’ assertion that “the man in mortal sin can not be united with Christ” with Luther’s assertion that “Christ dwells only in sinners”. Because the two statements are seeing the state of “sinfulness” in entirely different ways. In a discussion group last year, my rabbi, drawing upon the work of Chief Rabbi Lord Sacks, pointed out that in Greek logic, if A is true, then no-A is not true. If it is the “truth” that Jesus is the Messiah, then anyone like me who does not believe this statement to be true must be either believing a falsehood, or ignorant, or deliberately stubborn. But this is not so simple a matter. Judaism has a concept of a messiah (or at least a Messianic age), but it differs from the Christian concept. The Jewish Messiah would usher in a world of universal peace and goodwill, and since we don’t have that (yet), the Jewish messiah has not yet arrived. The Christian Messiah, as an individual who died for sins of humanity and can bring about personal salvation for all who believe in Jesus, is a different idea. A and not-A are too-simple categories for dealing with matters of personal faith. Whatever you think of the example my friend chose for his illustration, his point holds true. In dialogue one partner may assert “A” and the other may assert “not-A”, but in fact “A” – in their vocabulary – might not be the same thing, and hence the ideas might not actually be exclusive. It is my assertion that when Dr Sasse (speaking of Luther) writes “Christ dwells in sinners”, he did not mean by the word “sinner” the same thing that Aquinas meant when he was speaking of “the man in mortal sin”. Once again, for the umpteenth time, I must confess my indebtedness to the excellent (and as far as I know unpublished) thesis of Dr Chris Burgwald, “The Sinfulness of the Justified” (he writes about it on his blog here, and I am sure if you email him he will send you a copy). In this work, Burgwald tirelessly examines much that has been said on the matter by recent Lutheran and Catholic theologians. But what emerges in the end is that Catholics and Lutherans means different things when they speak of “sin” and “sinfulness”. In essence, Catholics teach that “sin in the proper sense” is an act (or the ommission of an act) carried out with the knowing, deliberate and uncoerced intention of breaking God’s commandments. If that action involves “grave matter” – that is, disobedience which involves an objective act which is evil in itself – it is “mortal sin”. (It is “venial” if the matter is not “grave”, or not committed with full intention or knowledge). Concupiscence (ie. the inclination to sin which remains even in the justified in so far as they remain “in the flesh”) is not, in Catholic doctrine, “sin in the proper sense”, although Dr Burgwald’s thesis concludes that it could be regarded as such by analogy much the same as Original Sin is not “sin in the proper sense”. But Lutherans use the term “sin” equally for Original Sin, Actual sin, and Concupiscence, without distinction. Once you realise this difference in the understanding of what each means when they someone is a sinner, you realise that the statement “Christ dwells in sinners” will be understood quite differently by Catholics and Lutherans. Catholics believe that if they have committed mortal sin, they have, by definition, decisively acted in such a way as to turn away from God and cut themselves off from relationship with him. Even Lutherans would agree that Christ cannot “dwell” in anyone who has acted in such a way. Yet I would also assert that Lutherans are a little less prone – like some modern Catholics – to acknowledge that it is possible for a Christian to act in such a way. It is possible, and even as a Catholic, I see in myself an astonishing tendancy to sin – both venially and indeed mortally – on a basis so regular as to frighten anyone who truly desires (as I do) to be a disciple of Christ. This tendancy is “concupiscence” – and, according to Catholic teaching, unless and until I actually act upon the tendancy, I am not, technically in this “proper sense” a sinner. But Lutherans tend to equate (morally) Actual sin, Concupiscence and Original Sin (which they often confuse with Concupiscence). They put them together onto the same level and so sometimes fail to see that the actual sin that Christians sometimes commit can be truly serious enough to break that friendship with Christ that has been established in our hearts through God’s justifying act of reconciliation. The difference in this understanding of sin can be seen in Sasse’s comments that even an “absolved” Christian approaching the Sacrament of the Altar remains in a state of “sinfulness”. That clearly shows a different understanding, not of absolution (for we are both agreed on the effects of that sacrament), but of what it means to be “a sinner”. In so far as I remain one who regularly sins, yes, I am a sinner. And that is where it is good to hear the words “Christ dwells in sinners”. It is a word of assurance to me that though I may abandon Christ, he will not abandon me. It assures me that the door is always open, that the Father is waiting for the Prodigal Son to return home, and that he will not turn me away. But repentance remains the key. Repentance and Absolution, which removes the guilt even of mortal sin and restores the sinner into fellowship with God and the Church, transforms one from being a “sinner” into a “not-sinner”. It restores the original grace of baptism so that once again, Christ may fully dwell in the heart of the believer. The difference between a repentant sinner and a non-repentant sinner is made wonderfully by the case of the theif on the cross, an example to which Dr Sasse points to prove his case. In fact, in terms of Catholic theology, by his repentance, the theif became a “not-sinner” and so the gates of paradise were opened to him. The other theif was also a sinner, yet he did not repent, and that door remained closed. So it is vitally important in our dialogue, when we seem to have come to an impasse in which one asserts “A” and the other “not-A” to make sure that we are both speaking of the same thing when we say “A”. 2 Responses to “Christ dwells in Sinners”? I would suggest that for Lutherans (well, for traditional Lutherans anyway) it is not the mortal sin per se that destroys communion with God but the loss of faith in God that precedes/accompanies the act. In regard to Lutherans equating actual sin, concupiscence and original sin, I know what you mean, but the old Lutheran theology most clearly distinguishes between them at least as far as description of their effects is concerned. Morally, of course, they are all of sin; here the Catholic doctrine is not radical enough, imo. Thus the Council of Trent had to overwrite St Paul to establish its doctrine! David, I like the way you try to engage us in theological analysis. This article of yours is interesting and I suspect central to the whole Christian schema and psyche. Of course the point you made at the end – a caution to reflect that we often converse using the same words with different meanings – is something with which I quite agree is a common pitfall of religious discourse. But on the subject of the different views of the concept of sin, may I offer a layman’s thought or two? The main source in front of me – I also have my copies of Tanquery’s Synopsis Moralis Theologiae (Desclee) and my Summa for the usual cross-reference – is a much cherished “Protestant Dictionary” (eds. Rev Charles Wright, Rev Charles Neil DD Hodder & Stoughton, London 1904). Under the article “Deadly Sin” it acknowledges that “all sin is deadly” but also that “some sins are clearly of a graver character than others”. But it goes on to say that the Roman Casuists corrupt moral theology when they divide sins into “mortal” and “venial”, i.e. by characteristics of the acts (as opposed to the disposition of the agent). It says that this whole approach is an unspiritual way of dealing with morals. I’d like to propose that the Dictionary’s position not only reflects much more accurately the complexity and observational uncertainty of “sinfulness” and “sin” than what appears to be the more mechanistic, abstracted Catholic explanation, but also is more conducive to the kind of morality dialogues less likely to result in sweeping condemnations common in much religious controversy. making righteous”; the subjects are all sinners, those “who are not innocent but guilty”, the process the simple acceptance that it is an unmeritable gift. I realise that “simple” here does not mean “frivolous” or “casual” but simply “plain and simple”. I’d like to propose that this classically Protestant perspective is also more coherently free of the semi-pelagianism that I think lurks within and entangles somewhat the Catholic view. I’d be interested in your personal view, as you seem well positioned to understand all the angles, and besides, I thought this article was simply deserving of some attention.